Abbey Drives is one of Nottingham’s longest standing driveway installation companies and now with 3 different branches operating throughout Nottingham, Derby and Leicester – you can rest assured we will deliver a quality product that will serve your property for years to come. 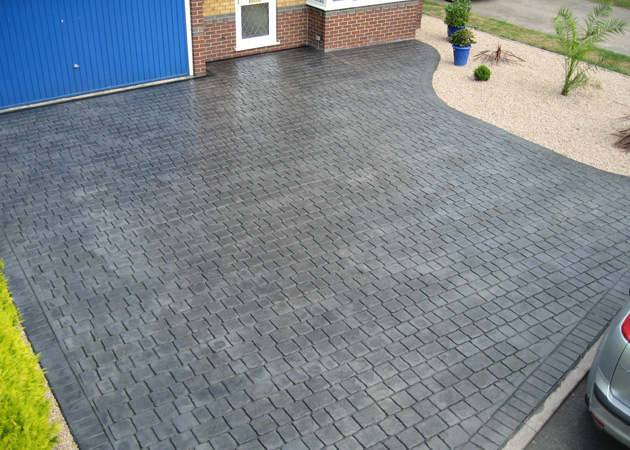 Abbey Nottingham offer expertly installed driveway solutions in and around the Nottinghamshire county. We primarily specialise is pattern imprinted concrete paving however we are also fully skilled in the installation of block paving. We have a wide range of patterns and colours to choose from, so whatever your ideas or requirements are – here at Abbey we can accommodate them. Abbey Drives are a family run business and operating in the Nottingham area for over 17 years. With an outstanding reputation for professionalism and quality or workmanship – there is no better choice for total peace of mind when contemplating a new driveway installation.Unlike other paving types, pattern imprinted concrete is very weather resistant and does not sink. It is stain resistant and the colour and texture is permanent subject to correct maintenance.